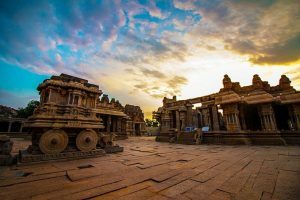 The iconic stone chariot in Hampi is a landmark destination that no tourist can afford to miss. 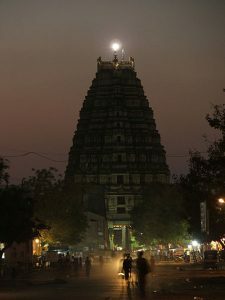 Know about the stone chariot and other monuments in Hampi. Royal Enclosure, Hampi used to be the homes of erstwhile kings and queens. Know more about Royal Enclosure and its architecture. Lotus Mahal in Hampi is one of the major attractions here. Know about the architecture and history of the grand Lotus Mahal in Hampi. Dasara Dibba or Mahanavami Dibba is a stone platform located within the royal enclosure of Hampi. Know more about Dasara Dibba and its history.